The numbers don’t lie: an appointment with your doctor has a tendency to last longer than you would like. In fact, the average appointment takes 121 minutes - but in many cases, only 20 of those minutes are spent actually meeting with your physician. Specific questions you might have for your doctor about your current symptoms or health concerns. 2. Get organized.Medical appointments rely on current and past information alike. To make sure your doctor has access to both buckets of information, we recommend that patients take a moment to get organized before an appointment. “Getting organized” includes reviewing your family history and putting together a list of medications, vitamins or other supplements you currently take. This list should include the dosages of your current medicine and supplements as well. Even if you only take one or two medications, having them written down with the dosages will help avoid any confusion as your doctor considers your full health picture. And having your family history ready for review will greatly help your doctor, who may not always have specific details of that history laid out on their chart. 3. Be open and honest during your appointment. It can sometimes feel as if something you’re worried about isn’t worth a doctor’s time. This is never true. Even if a symptom may seem minor, or if it’s embarrassing, you don’t want to leave out any information during your appointment. The more facts your doctor, has the easier it will be for him or her to help you. It’s also important to answer all of your doctor's questions completely and truthfully; this will go a long way to help them figure out what is going on. 4. 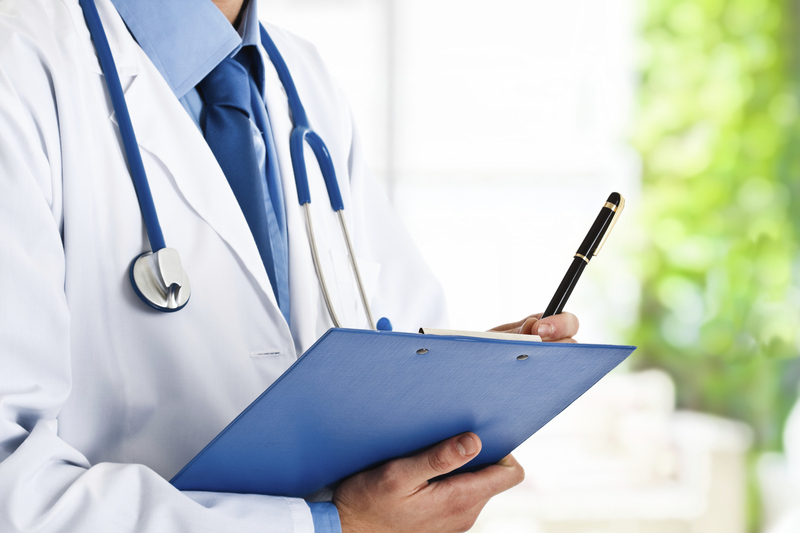 Take notes.While meeting with a doctor, you’ll want to listen carefully to their diagnosis and recommendations. And during this discussion, there is absolutely no shame in taking notes to make sure you have all of the facts you need when you leave an appointment! Remember, even doctors rely on medical charts to keep the information they use well documented and sorted. You should feel comfortable creating your own chart of information if it will help you personally manage your health. 5. Don’t leave an appointment unless you’re confident in what was discussed. We believe that no one should leave us feeling confused about their health. So before you leave the office, make sure you know exactly what steps you need to take next. Ask plenty of questions if there’s anything at all you don’t understand during your appointment (and, again, don’t hesitate to take notes about the answers we give!). We understand that, as doctors, it’s our job to help you understand your health and health needs - and we are more than happy to provide information on your current or follow-up appointment needs if you’re unsure about them. Using these tricks will go a long way in making your appointment a smooth, productive experience. That said, remember: once you leave the doctor’s office, your journey to good health is still not over! After an appointment you’ll want to follow your doctor’s instructions and stick to the advice and plan they gave you. Always be sure to follow through on any additional tests or treatments. This could include getting bloodwork or x-rays done, as well as any kind of physical therapy or taking prescribed medication properly. And never hesitate to call your doctor’s office if you continue to have symptoms or have any more questions or concerns.